India is a land of vast geography and deep history. If you are a first-time visitor and need a befitting introduction to India, you should start with Delhi (a Union Territory of India), Agra (located in Uttar Pradesh) and Jaipur (located in Rajasthan). These three cities present three different aspects of India - beautifully. Delhi is a wonderful mix of the old and the new. Agra is where the Taj Mahal is located. Jaipur, the capital city of Rajasthan, is redolent with the history of the Rajpur era. The Extensive Golden Triangle, designed by Max Holidays, is aimed at getting the best out of the three cities – Delhi, Agra and Jaipur. If you haven't been to India before, this is the tour that you need. After your arrival in Delhi, set out on a fun-packed sightseeing tour of both Old and New Delhi. In Old Delhi, visit such popular attractions as the Jama Masjid, Red Fort and Raj Ghat. Also, take a rickshaw ride through Chandni Chowk, which is where the vibrancy of Old Delhi comes to life. 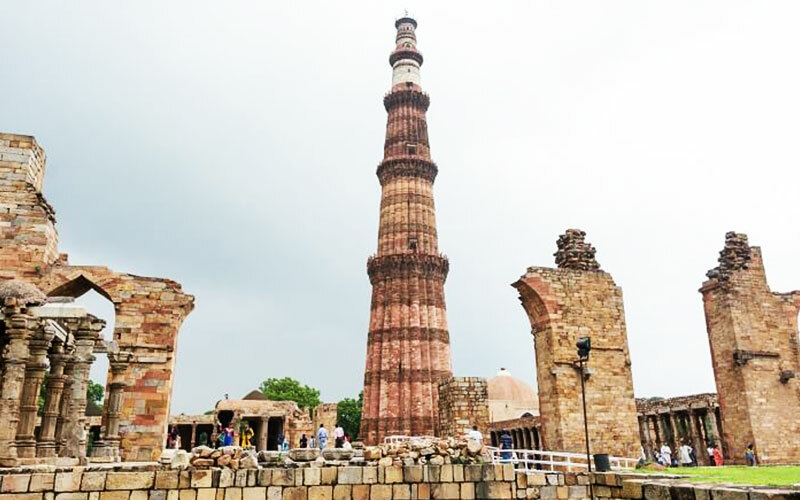 New Delhi, on the other hand, is home to the Qutab Minar, Humayun's Tomb, India Gate and the President's Palace among others. Next, drive to Agra where you'll see the Taj Mahal, the Agra Fort and the Tomb of Itmad-ud-Daulah, also referred to as the 'Baby Taj'. 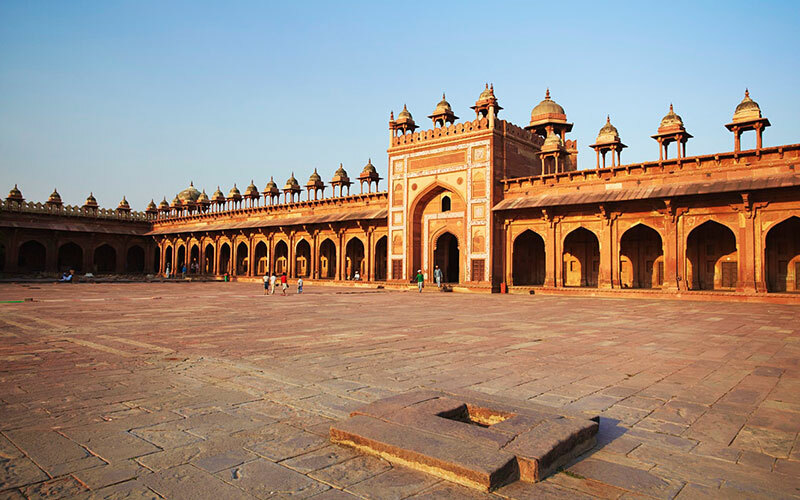 Visit Fatehpur Sikri, founded in 1569 by none other than the emperor Akbar. Your next halt is Jaipur, famously known as the 'Pink City'. 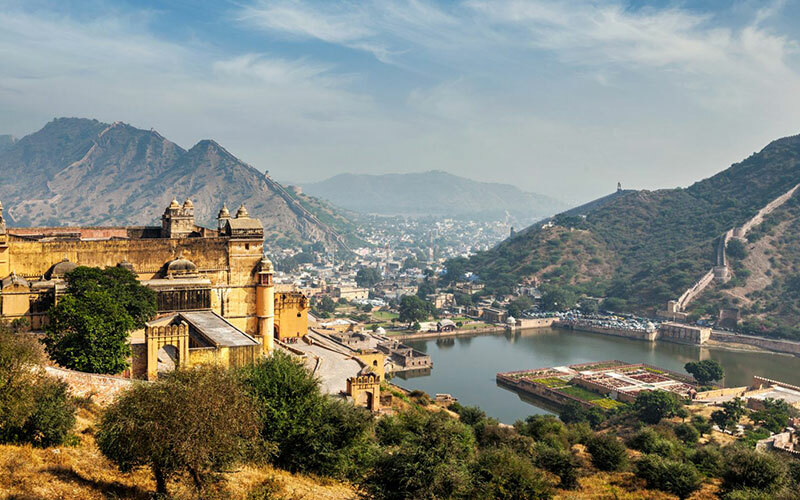 Start your day in Jaipur with a fun-filled elephant ride up to the Amber Fort. Later, visit the Hawa Mahal, the Jantar Mantar Observatory and the City Palace Museum. Spend some time shopping around the colourful local markets of Jaipur. The stone work, textile work and jewelry work of Jaipur are famous all across India and outside. Finally, get back to Delhi for your connecting flight or journey back home. Arrive at Delhi airport today and our company representative will transfer you to your hotel where you have room booked for your stay. Rest of the time is free for relaxation and personal activities. Remarks : The hotel room is reserved from 02.00 PM this afternoon and if you arrive in the afternoon and have time to do some additional sightseeing in Delhi, kindly ask our experts to offer an additional sightseeing tour for you or provide you with a private car to go out in the city to explore it on your own. After having your breakfast reach in the lobby of the hotel where the guide is waiting for you to start your sightseeing tour of Old and New Delhi. Delhi is the metropolis city which is one of the fastest growing cities in India and serving as the capital city. The city is known for its wide spread boulevards and greenery. Old Delhi includes visit to Jama Masjid (one of the largest mosque of India), Red fort and Raj Ghat (The cremation ground of Mahatma Gandhi). In Chandni Chowk ride on a man driven rickshaw for a short ride to experience the vibrant atmosphere of Old Delhi. Enjoy your tasty lunch be in a good city restaurant. Following breakfast, we will drive to Agra, along one of the India’s newly built express highway. A three hour comfortable drive will take you to the city of Taj Mahal. Upon arrival check into the hotel. After wash and change, we will visit the majestic red-sandstone structure of Agra fort which stands strong on the banks of the river Yamuna. The construction of the fort was started by Mughal emperor Akbar in 1566. Located on the right bank of Yamuna river. Aurangzeb, the son of Shah Jahan imprisoned his father (Shah Jahan) in this fort for 08 years until he died in 1666. During his last years Shah Jahan used to see Taj Mahal from the window of the fort and remember his beloved wife. After Agra Fort, the monument that is most important in Agra is the Tomb of Itmad-ud-Daulah which is often referred as "Baby Taj" by the travellers due to its Taj like structure. Situated on the left bank of the river Yamuna this monument. After finishing the sightseeing we drive back to our hotel for leisurely time. Remarks : One can opt for ‘Mohabbat-e-Taj’ show which takes place in a private theatre in Agra. This show performed by some very fine artists tells the story behind Taj Mahal. Today we visit the beautiful Taj Mahal during the sunrise. It is a very special moment watching Taj Mahal during sunrise when the first rays of the sun reflects off the glistening white marble. Start early from your hotel in your car. From the parking we enjoy a ‘Tonga ride’ to reach Taj Mahal. Spend some precious and memorable time at Taj Mahal as the guide explains you the story behind creating of the monument and its architectural beauty. We come back to the hotel to have our breakfast and pack our luggage as we are leaving today to the glorious city of Rajasthan, Jaipur. We have a couple of beautiful sites to visit on the way and the guide from Agra will join us today to our next destination ‘Fatehpur Sikri. This forbidden city situated on an extension of the upper Vindhyan ranges is a dried city built by Mughal Emperor Akbar to commemorate the birth of his son Jahangir. 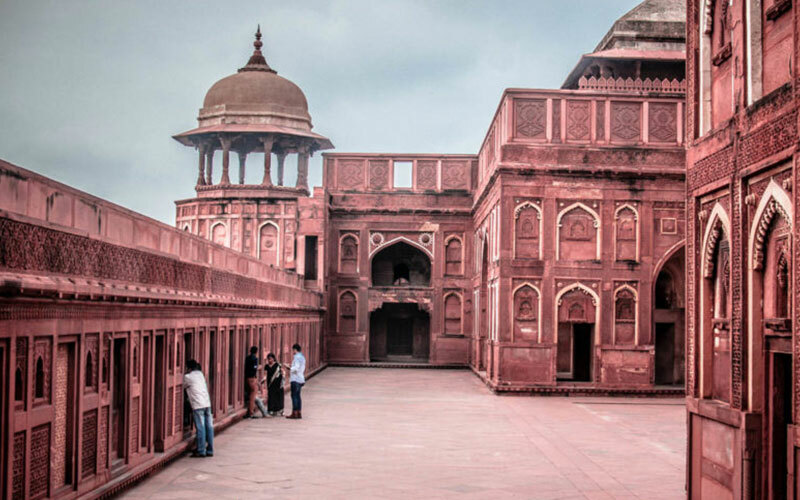 Fatehpur Sikri served Mughals as thier capital for over a decade after which they shifted to Agra due to acute shortage of water in Fatehpur Sikri. At Fatehpur Sikri we now say by to our guide who is travelling with us from Agra. Now we continue to our next destination ‘Abhaneri village’ which is situated 95 kms before Jaipur and is world famous for its beautiful ‘Chand Baoli Step well’. The guide will meet us at Chand Baori for explaining us about the monument. Continue drive to Jaipur and upon arrival check into your hotel. In the evening we are free to enjoy our dinner outside the hotel in a city restaurant while watching live folk dances performed by the local dancers. The day starts with an excursion to Amer Fort. Amer was the ancient capital of Jaipur. It is situated atop the Aravalli hills overlooking the Jaipur city. Ascend the fort on an elephant's back, like a Maharaja. The main attractions of the fort are Ganesh Pol enterance, Sheesh Mahal, Courtyards and beautiful gardens inside the fort complex. Later after finishing the tour of Amer Fort we head to Jaigarh fort where you can see the world's largest canon on wheels displayed. In the afternoon visit Hawa Mahal (Palace of the Winds), Jantar Mantar Observatory and City Palace museum. The marvelous collections of arts and artifacts displayed at the City Palace Museum is unparallel in Rajasthan. In the evening we have some time to shop around in the colourful bazaars of the Pink city. We will enjoy rickshaw ride in the busy markets. Jaipur is world famous for excellent precious and semi precious stones, textile work, jewellery etc. Special remarks : Upon special request we can arrange a meeting with one of the famous astrologer for consultation. The consultation feel is payable on the spot to the astrologer but prior appointment is mandatory. After a relaxed breakfast, we will drive to Delhi. Upon arrival in Delhi, transfer to Delhi airport from where you board your flight back to home or next destination.